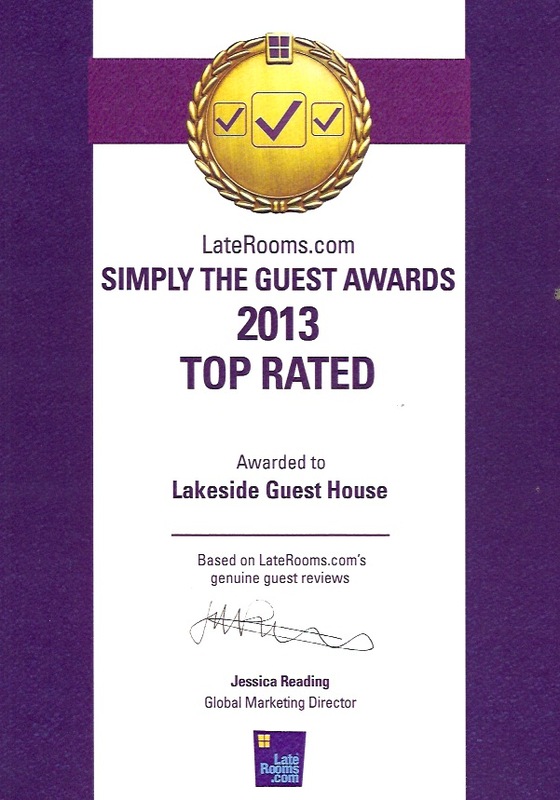 Lakeside is very pleased to announce it’s third recognition award from the major Tourist/Accommodation Websites LateRooms.com. and Booking.com. 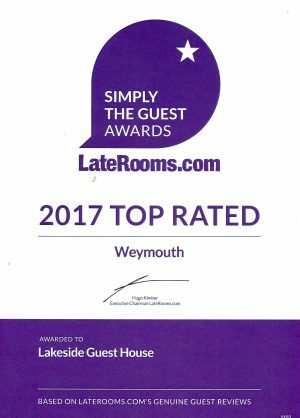 Lakeside Guest House first received Top Rated for 2013 from genuine Guest Reviews and now has been given the recognition for the third time for 2016 and 2017 Top Rated. 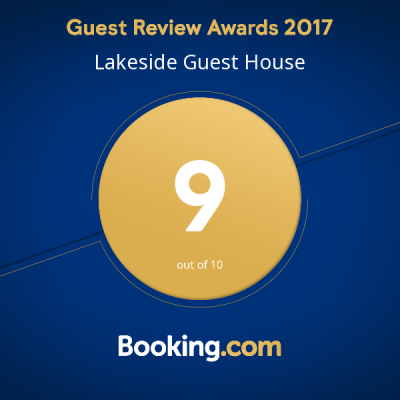 This year Lakeside has also received a 9 out of 10 for Guest Reviews on Booking.com. 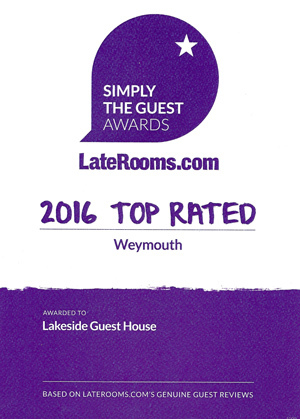 Once again many thanks to our wonderful Guests and looking forward to you all visiting Weymouth in the coming year!